​The Barn is the largest of our cottages and traditionally this is where the straw and feed were stored. The cottage can be accessed by slate steps or by a level access area which is suitable for the less mobile/wheelchair user. The front door opens directly into a large lounge/dining/kitchen area. Part of the original slate flagstone floor has been relaid in the kitchen/dining area and some walls have been retained as exposed stone. 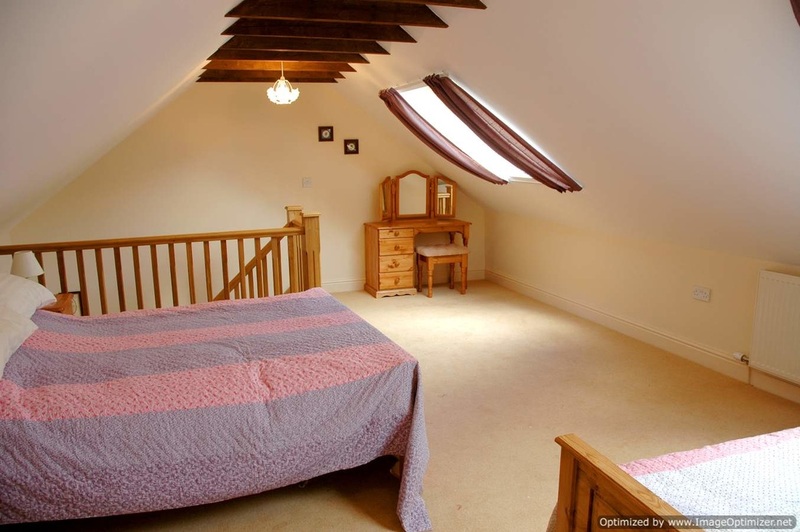 A beautiful oak staircase, crafted by a local carpenter, leads up to a large first floor bedroom with a pitched ceiling and 2 velux windows that provide a wonderful view of the hillside. 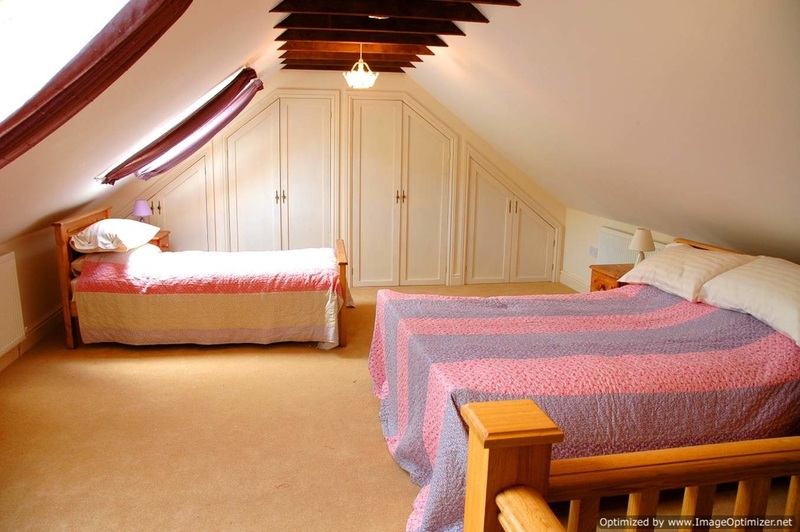 This bedroom has 1 double and 1 single bed dressed in antique “Strippy” Welsh Quilts and cotton bed linen. 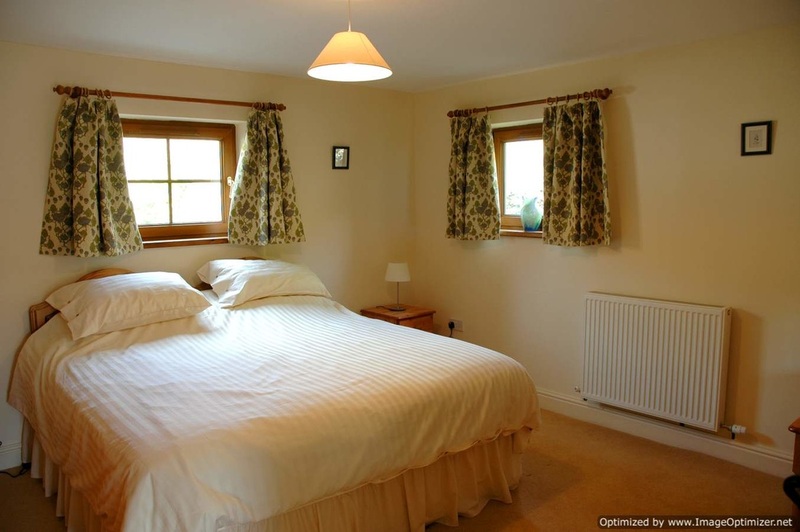 At the rear of the ground floor is a large bedroom suitable for a wheelchair user. It has twin single divan beds which can be joined to provide 1 super king size bed. 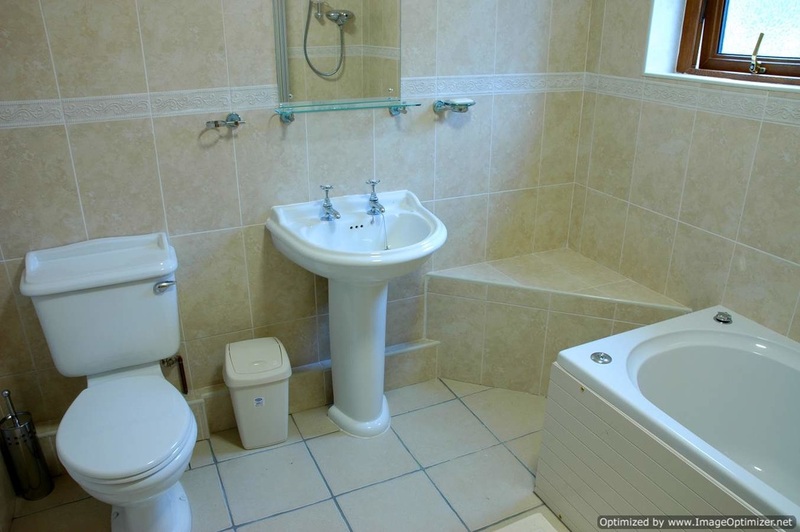 A fully tiled en-suite bathroom with a wet floor shower, toilet with drop down hand rail and grab on the wall and a wash hand basin with lever taps. A shower chair and toilet seat raiser is available by request. The main bathroom is located on the ground floor. This bathroom is light, spacious and fully tiled with a whirlpool bath and overbath shower, wash hand basin and toilet. A back door leads out onto a private patio area with views of the hillside above. Wooden garden furniture is provided so that you can sit and watch the red kites, buzzards and other birds soaring in the skies above, see the sheep grazing and observe the wildlife. 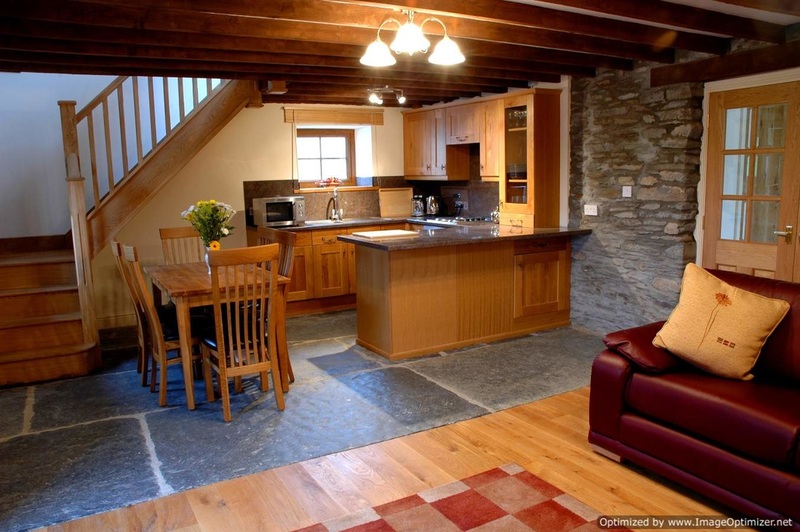 The Barn has the added facility of being able to open up and adjoin with the Byre; either to add 1 bedroom or to completely combine both cottages. Ideal for large families or friendly get-togethers.